Ashraf Bedi has won a stay on the film because he was not listed as co-producer when it went to the national awards. The poster of 'Adaminte Makan Abu' starring Salim Kumar and Zareena Wahab. 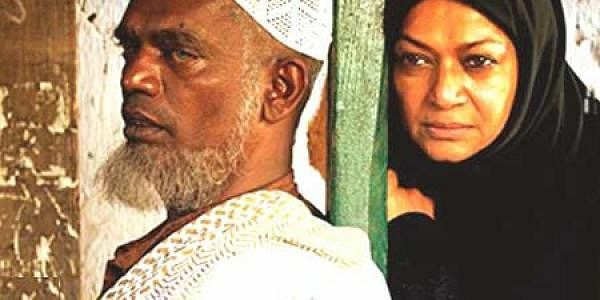 THIRUVANANTHAPURAM: The release of Malayalam film ‘Adaminte Makan Abu’, which won four National Awards, was stopped after one of the producers approached a Kerala court and got a stay. Ashraf Bedi, who approached the Kozhikode vacation court on Saturday, said he was cheated by producer and director of the film, Salim Ahamed, who did not mention him as a co-producer when the film's entry papers were submitted for the National Awards. &quot;Didn't you all see in the papers and on TV, the film is mentioned as produced and directed by Salim Ahamed. The truth is that I am a co-producer. The court granted a stay after I produced all the documents to this effect,&quot; said Bedi. At the 58th National Film Awards, ‘Adaminte Makan Abu’ won the best actor, best film, best photography and the best music awards. Ahamed did not respond to the controversy. Click here to read about the National Awards.